Ready to take your life on the road but do not have a large truck or trailer to tow a travel trailer? If so then you need to head to your local Airstream dealership in Wisconsin and see one of the many new and used cars for sale here in Franklin, WI. Whether you are looking for a camper for sale or small travel trailers for sale like the Airstream Sport you can find it at this Airstream dealership. 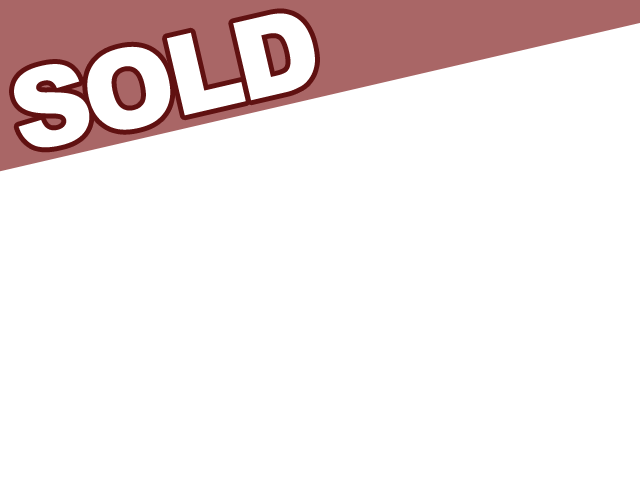 Here at Ewald’s Airstream of Wisconsin, we have everything from small travel trailers for sale like the Airstream Bambi trailers for sale, touring coaches for sale including the Airstream Interstate and everything in between. 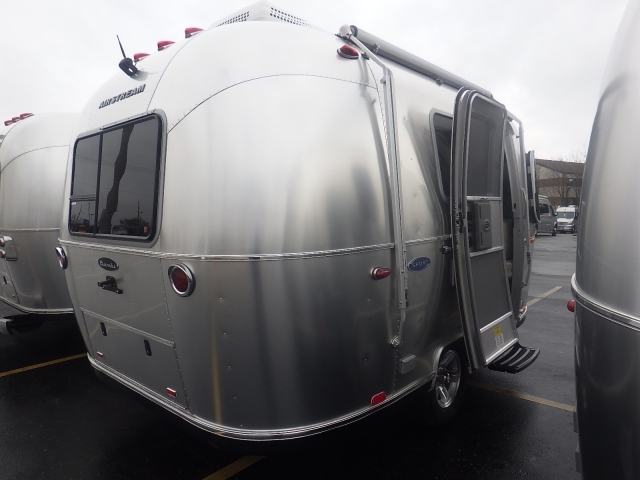 When you are looking for Airstream dealers near you, come to Ewald’s Airstream of Wisconsin and see one of the many new and used travel trailers for sale. When you are looking for a large selection of smaller campers for sale, head to Ewald’s Airstream of Wisconsin and see the all-new Airstream Sport for sale. This Airstream Bambi trailer comes with many features both inside and out that you will not want to miss. The Airstream Sport is ready to take you on your next adventure with the ability to sleep up to four people comfortably you will have plenty of room for your friends and family. This teardrop camper features a panoramic window that let light stream in from every angle in this travel trailer for sale. Plus with remotely activated blackout curtains you can have all the privacy you want or need to enjoy your camping trip. 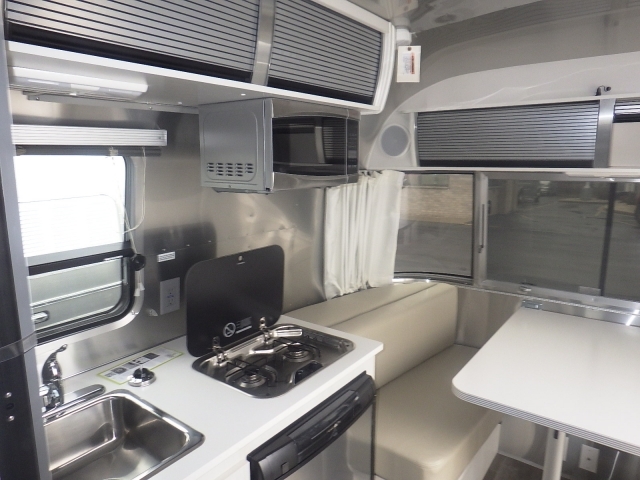 The Airstream Sport also comes with a galley style kitchen comes with top of the line features that make it easy to cook and prepare all of your favorite meals. Space savers including a folding side table and a sink cover give you ample space to get all of your work done. Worried that your guest will not have anywhere to sleep? Never fear the dinette can quickly be converted into a bed that is the perfect size for two people to sleep on making everyone a happier camper. The Sport also comes with a small bathroom that features a shower and toilet for total convenience. When you are looking for the perfect solo full-time camper living go and see the impressive Airstream Sport for sale here in Franklin, WI. Take your trip outside and relax under the power folding awning of this Airstream Bambi trailer for sale. When you are looking for small travel trailers for sale near you, come and see the Airstream Sport for sale. With towing features including advanced anti-trailer sway, everyone from a beginner to an advanced driver will able to haul this teardrop trailer with ease. Plus because of its aerodynamic design, you will feel less drag and less pain at the pump when you travel with the Airstream Sport. When you are looking for Airstream dealers, come to Ewald’s Airstream of Wisconsin in Franklin, WI and see one of the many Airstream Bambi trailers for sale like the Sport. When it comes to finding Airstream dealers in Wisconsin come to Ewald’s Airstream of Wisconsin at 6319 S 108th ST in Franklin, WI 53132.